The esophagus is the tube that carries food from the mouth to the stomach. Esophageal cancer (EC) is cancer that starts in this tube. EC is more common in men. It's also more common in people aged 50 years and older. Upper GI endoscopy with biopsy —Examination of esophagus with a lighted scope. Tissue samples will be removed and looked at under a microscope. The exam and your test results will help find out the stage of cancer you have. Staging guides your treatment plan. EC is staged from 0-4. Stage 0 is a very localized cancer. Stage 4 is a spread to other parts of the body. Radiation kills cancer cells and shrink tumors. It does not cure EC. It offers brief relief of symptoms. It may also shrink the tumor. It used with chemotherapy. It may also be done after an esophagectomy. Chemotherapy is the use of drugs to kill cancer cells. It may be given in many forms. It may given by mouth, shots, or IV. The drugs enter the bloodstream and travel throughout the body. Chemotherapy alone will not cure EC. It is only used when the cancer has spread and can’t be cured. It is used to help shrink the tumor, ease pain, or control nausea. A mix of drugs and special lights are used to try to kill cancer cells. The cells absorb the medicine. The lights stimulate the medicine to kill the cells. This therapy may not be useful in some people. Limit alcohol. This means 2 drinks or less a day for men and 1 drink or less a day for women. Eat a healthful diet. Eat fruits and vegetables , foods that are high in fiber. Limit dairy, processed foods, and red meat. Exercise regularly—Aim for 30 minutes of activity on most days of the week. Get medical treatment for GERD or Barrett esophagus. This type of cancer is often found in later stages. 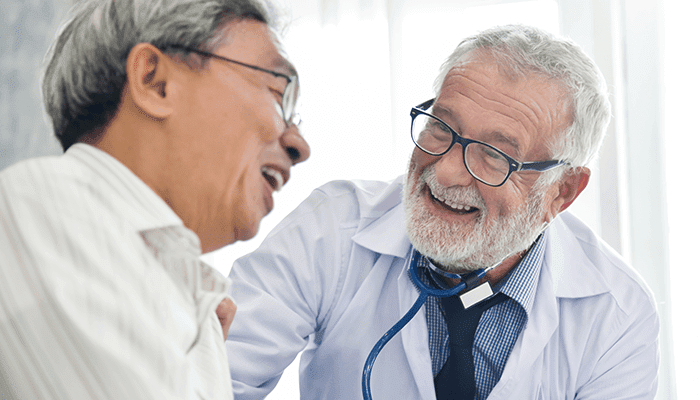 People who have risk factors, especially GERD or Barrett esophagus, should talk to their doctor about screening tests. Screening tests will look for cancer before symptoms appear. ASGE Technology Committee, Kantsevoy SV, Adler DG, et al. Endoscopic mucolsal resection and endoscopic submucosal dissection. Gastrointest Endosc. 2008;68(1):11-18. Barrett esophagus. EBSCO DynaMed Plus website. Available at: https://www.dynamed.com/topics/dmp~AN~T115861/Barrett-esophagus . Updated April 5, 2018. Accessed July 30, 2018. Esophageal and esophagogastric junction cancer. EBSCO DynaMed Plus website. Available at: https://www.dynamed.com/topics/dmp~AN~T114816/Esophageal-and-esophagogastric-junction-cancer . Updated June 25, 2018. Accessed July 30, 2018. Esophagus cancer. American Cancer Society website. Available at https://www.cancer.org/cancer/esophagus-cancer.html. Accessed July 30, 2018. Far AE, Aghakhani A, Hamkar R, et al. Frequency of human papillomavirus infection in oesophageal squamous cell carcinoma in Iranian patients. J Infect Dis. 2007;39(1):58-62. 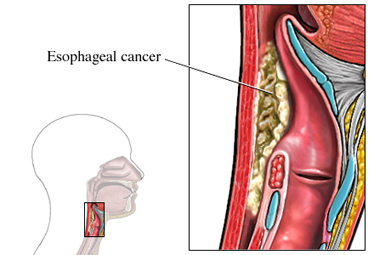 General information about esophageal cancer. National Cancer Institute website. Available at: https://www.cancer.gov/types/esophageal/patient/esophageal-treatment-pdq. Updated March 28, 2018. Accessed July 30, 2018. Kato H, Nakajima M. Treatments for esophageal cancer: A review. Gen Thorac Cardiovasc Surg. 2013;61(6):330-335. Lightdale CJ. 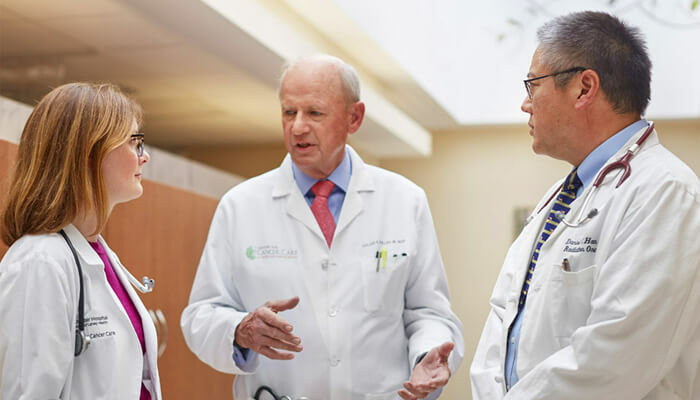 Endoscopic treatments for early esophageal cancer. Gastroenterol Hepatol (NY). 2007;3(12):904-906. Nakajima M, Kato H. Treatment options for esophageal squamous cell carcinoma. Expert Opin Pharmacother. 2013;14(10):1345-1354. Vignesh S, Hoffe SE, Meredith KL, et al. Endoscopic therapy of neoplasia related to Barrett's esophagus and endoscopic palliation of esophageal cancer. Cancer Control. 2013;20(2):117-129. 6/17/2014 DynaMed Plus Systematic Literature Surveillance https://www.dynamed.com/topics/dmp~AN~T114816/Esophageal-and-esophagogastric-junction-cancer : Liu X, Wang X, Lin S, Yuan J, Yu IT. Dietary patterns and oesophageal squamous cell carcinoma: a systematic review and meta-analysis. Br J Cancer. 2014;110(11):2785-2795. 1/22/2015 DynaMed Plus Systematic Literature Surveillance https://www.dynamed.com/topics/dmp~AN~T114816/Esophageal-and-esophagogastric-junction-cancer : Chen Y, Yu C, Li Y. Physical activity and risks of esophageal and gastric cancers: A meta-analysis. PLoS One. 2014;9(2):e88082.